I have driven all of the Midas derivatives and by far the most pleasant to drive is the Mk4, with its relatively modern K-Series engine and five speed gearbox. The Midas, which I have covered most miles in is a MK3 convertible with a 998 A-series engine. The Mk4 which is an elementally practical car, but not very pretty in my view. On the other hand, the Mk3 with its lovable quirky frog eye looks, which draws cheers and waves from small boys and I’ve been accosted many times by attractive young ladies in filling stations wanting to know more about it. Very good for an old man’s ego. I jumped at the chance when the Mk3.5 convertible became available with K-series engine already installed. The car as you can see is an unfinished project, with all of the difficult work done. The body is a Corby built shell, with the wider sills and thicker floor. So, it is the stiffest convertible body available. Mechanical jobs still to do include cutting the gearchange rods to length, sleeving and welding the gear change rods together. I already have the sleeves made, so it is just a fitting and welding process. The exhaust will need to be fabricated, I do have an exhaust manifold, so just needs some ingenuity to get from front to back. The engine that is fitted to the car is the 1.4 K-series with five speed gearbox which is 33000-mile engine with about 105 BHP. I have a bill of sale for this engine. There is also a 1.6 engine (115BHP) to go with the car. Don’t be frightened by the K engine, once the head gasket is uprated, they are a reliable and practical engine. I have three cars fitted the 1.8 VVC engines and I think they are amazing torquey engines. 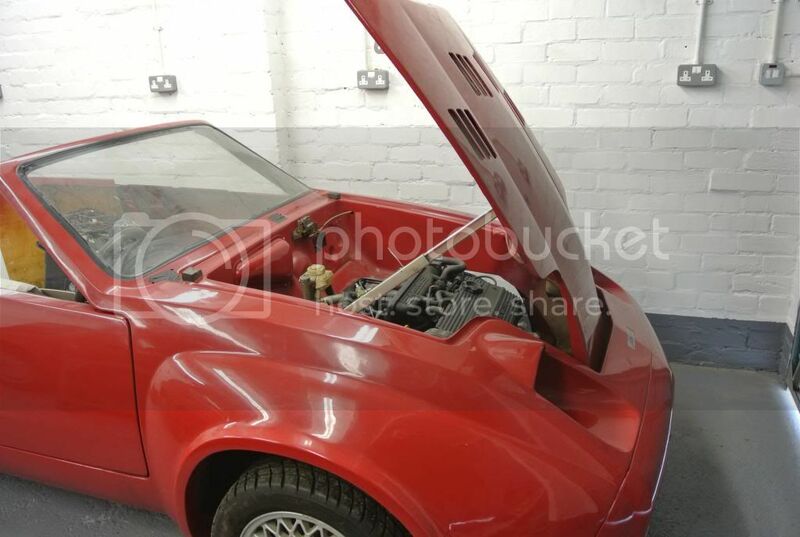 The cars I have with this engine fitted are; An MGTF 160 (also for sale), a Rover 200 BRM (only 750 produced) (again for sale) This is a rare limited-edition car built to outdo the Golf GTi and it did! I also have a 1999 Lotus Elise which in my view is the best ever sports car. Back to the K engine, you could fit a 1.8 VVC engine to this car, but you would need to fit the 1.6 flywheel, which of course you already have I also have a turbo manifold (available by separate negotiation) so you could turbo the 1.4 engine and achieve over 200BHP. I’m led to believe that 1.4 engine is the best to turbo, due to thicker liners. 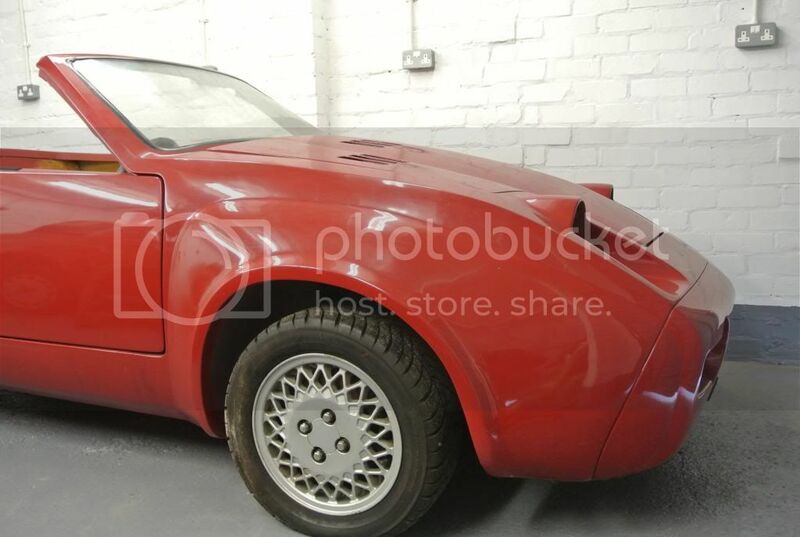 The donor car is a GTM car. So not as stiff as a Corby car, but still OK, I did thousands of miles in my convertible. This car came to me as a complete car with a broken gearbox. 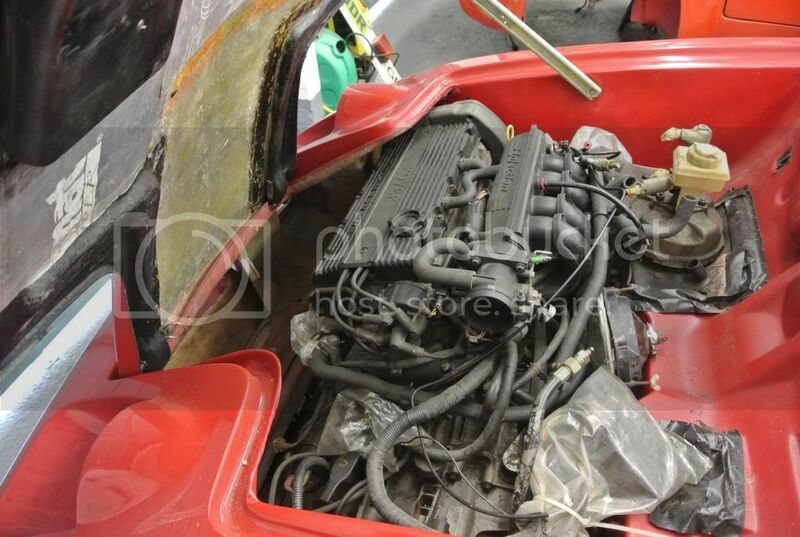 I removed the engine and box and that has gone now to another Midas owner to be fitted into a MK3 coupe. 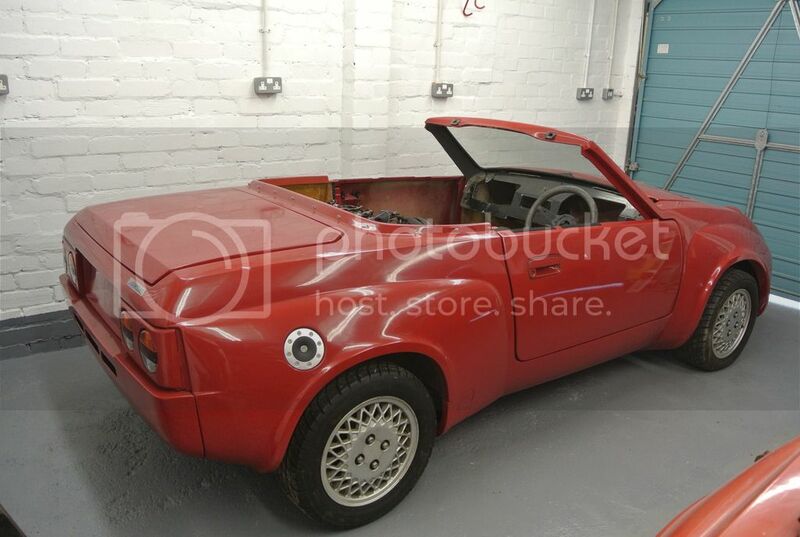 This car has a hard top and soft top and all the bits to build one good car. You would also have a spare bodyshell and wheels etc. The cars are located in Newcastle Upon Tyne and if anyone wants to chat to me about them, please PM me for a phone number. I’m asking £3250 for the whole package. Last edited by Alan D. on Thu Nov 22, 2018 12:16 pm, edited 3 times in total. Interested but more details required. Outstanding work required for completion? Thank you for your interest, I really need to do a full description. I'll try and get that done tomorrow. But if you want to phone me for a chat about the car, please PM me for a phone number. Above are pictures of the two cars available, its just so you can compare the extended front to accommodate the K engine and the standard front. I've asked non Midas people which profile they like the best and it is always the extended front. I for one prefer the stubby look of the Midas Gold front end. If anything the cars need to be wider rather than any longer. 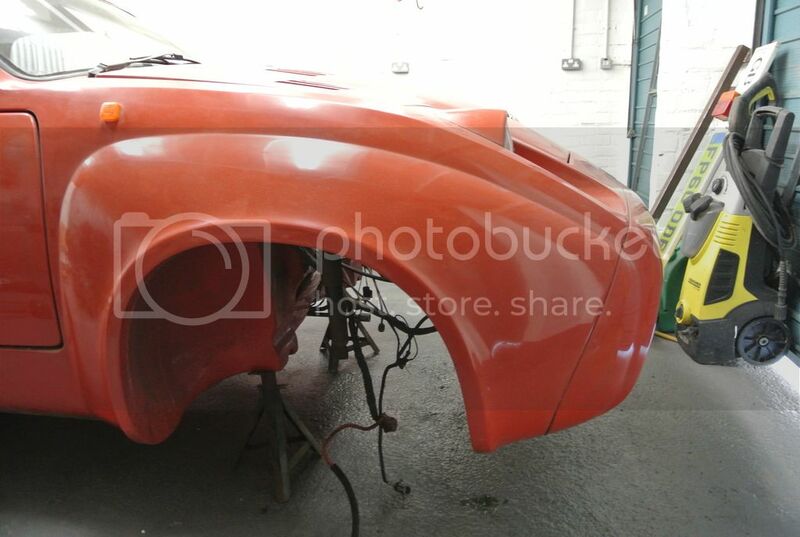 Obvs this was (well) done to allow the new lump to fit but all the same I would have fitted something that went in the original shell. Good luck with the sale - Ebay would see it gone.